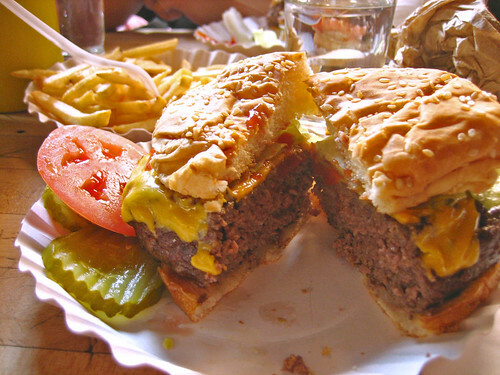 The traditional cheeseburger. Yes, it is as scrumptious as it looks. 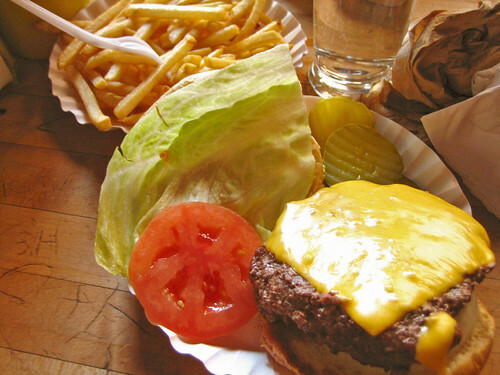 I think the burger being served on a paper plate makes it so much better. That’s a shot of the inside of the burger. Yummmm, it looks like it’s done medium rare – the way I like it. hahaha. Conclusion: Want a burger that’ll satisfy your meat craving in a typical American pub setting? Yes, this is the place to go. It is definitely worth checking out, especially since this burger only cost $5.75! It’s a great cheap eat. Saturday, February 3rd. Of course a weekend wouldn’t be complete without the “in-between-two-real-meals” meal named BRUNCH. I think my friends and I are big fans of this meal, so we originally arranged to meet at another restaurant. Let me tell you, finding a place for Saturday brunch in the West Village is a challenge. 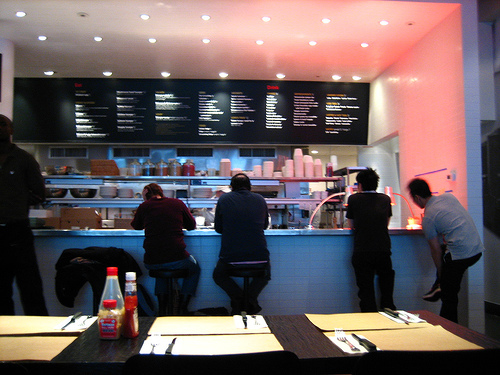 Every place is basically packed with other enthusiastic brunchers. We ended up going to Deborah Life Love Food. With the group of 6, we walk into a cute little restaurant decorated in Valentine’s Day designs. This dish is called Ekuri. Yes, what is that? Well, their description is “fluffy scrambled eggs with minced Thai Chili Bird pepper and sliced onion topped on grilled sourdough batard slices finished with truffle oil”. According to my friend who got it, the dish was quite spicy, which isn’t bad for those who love the heat. She was dying though. hahah. 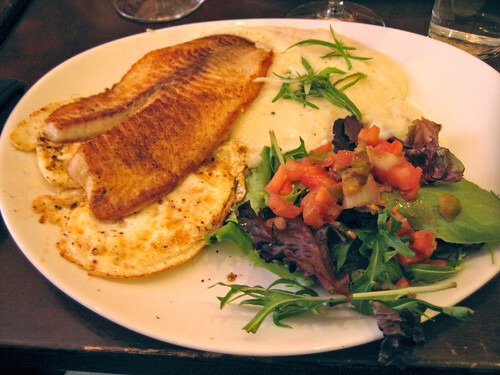 This is their Cajun Spiced Sunfish (Tilapia) with slow cooked grits and two over-easy eggs. The sunfish was a bit peppery, but it was nice and tender. 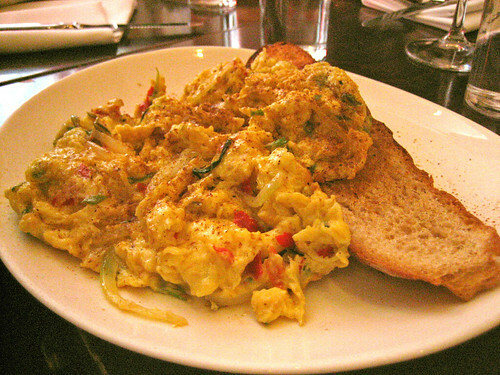 Not too flaky, and with the eggs, made a great combination of food. Plus, the salad dressing definitely added to this dish. Conclusion: Awesome place for brunch! I don’t think many people know about this place, but it’s real cute and intimate. My friend pointed out that they have a $70 tasting menu for Valentine’s Day, and this place is not a bad place to take a date. If you want to go for a American traditional yet new type of cuisine, I recommend coming here. I’ll be going back someday!